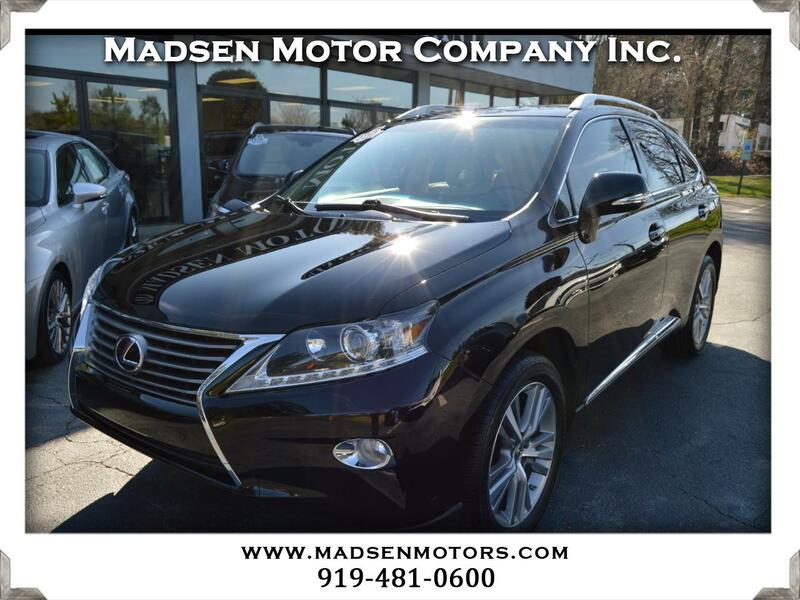 Used 2015 Lexus RX 350 FWD for Sale in Raleigh, Durham, Cary NC 27511 Madsen Motor Company Inc. Here's a low-mileage 2015 Lexus RX350 Front-Wheel-Drive model at a great price! This nearly-new car is Obsidian with Parchment Leather, has only 32k miles, and is nicely equipped with Premium Package w/Blind Spot Monitor System (Leather Interior, One-Touch Open/Close Moonroof, Power-folding Electrochromic Heated Outside Mirrors, 3-position Driver's Seat Memory), Backup Camera, 19'' Alloy Wheels, Heated & Ventilated Front Seats, Wood & Leather Trimmed Steering Wheel and Shift Knob, Intuitive Park Assist, 12-speaker Premium Display Audio System with CD Player, HD Radio with iTunes Tagging, USB iPod/MP3 Control, SiriusXM Satellite Radio, and Towing Prep Package. This car also comes with a clean, 1-owner CARFAX history, and the balance of the Lexus Powertrain Warranty until 2/18/2021 or 70k miles, whichever comes first. Buy with confidence from Madsen Motor Company - voted ''Best Pre-Owned Car Store'' 4 years in a row in the Best of Cary awards!